"...seek excellence in business education that offers breadth in terms of broad based coverage of business concepts and skills, depth through focus on specific industries and professions..."
Be sure to check out the Wall Street Trading Room Annex! There are 12 workstations and this room is used for open lab and financial software training! Email jshantz@sju.edu or call 610-660-1678 for more information. See detail please click here. 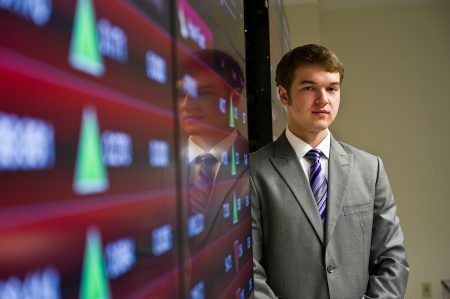 The Wall Street Trading Room and Finance Society put together an excellent competition this semester. The top two winners received a $100 and $50 gift card. Thank you for a great competition. See you in the fall!